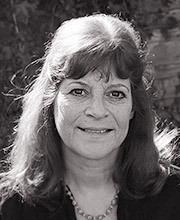 Rosalind Adams is best known as Clarrie Grundy in The Archers, and has worked extensively in radio, TV and theatre. She’s a graduate of the Royal College of Music and has recently played Mrs Frazer, the grumpy pianist, in Stepping Out. She has recorded The Ghost of Thomas Kempe by Penelope Lively on audiobook.